Peeling back the layers of the journalistic psyche, this fascinating project veers from interviews to archival footage, photography and animated sequences as it retraces the footsteps of reporter Ryszard Kapu?ci?ski during the Angolan Civil War of the 1970s. Virtuoso filmmakers Raúl de la Fuente and Damian Nenow plunge into Kapuscinski’s hallucinatory journey while probing the history and politics behind the struggle. 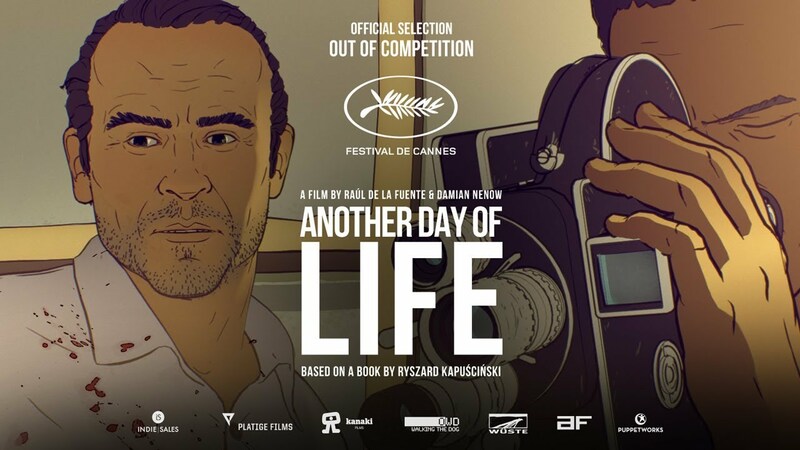 Chaotic and burningly relevant, Another Day of Life refuses to avert its gaze as it boldly brings to life the unspeakable horrors of war journalism and the complexities of a bloody conflict.